It may be hard to believe given my current love of cute games, but my first experience with a Kirby game didn't come until I eagerly picked up a copy of the DS-based spin-off known in my neck of the woods as Canvas Curse. Why did I ignore Hoshi no Kirby (aka Kirby's Dream Land) for so darn long? I owned a GameBoy system and a whole slew of GB games at the time this cart was released in my region, after all, so adding it to my collection shouldn't have been out of the question. Sadly, the only answer I can come up with at the moment is that it looked a tad too easy for my liking. Even then, it seems, I couldn't understand the point of a cakewalk platformer. I mean, really, who wants to stroll through a side-scrolling action game that refuses to put up an adequate fight? Not me, that's for sure. 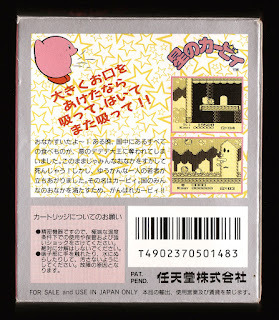 And so I turned my nose up at Hoshi no Kirby--until I played and loved Canvas Curse. Actually, it took longer than that for me to give this portable effort a chance, as I didn't dive into it until after Kirby's Epic Yarn extracted its flannel-tipped claws from the depths of my soul sometime in 2010 or 2011. 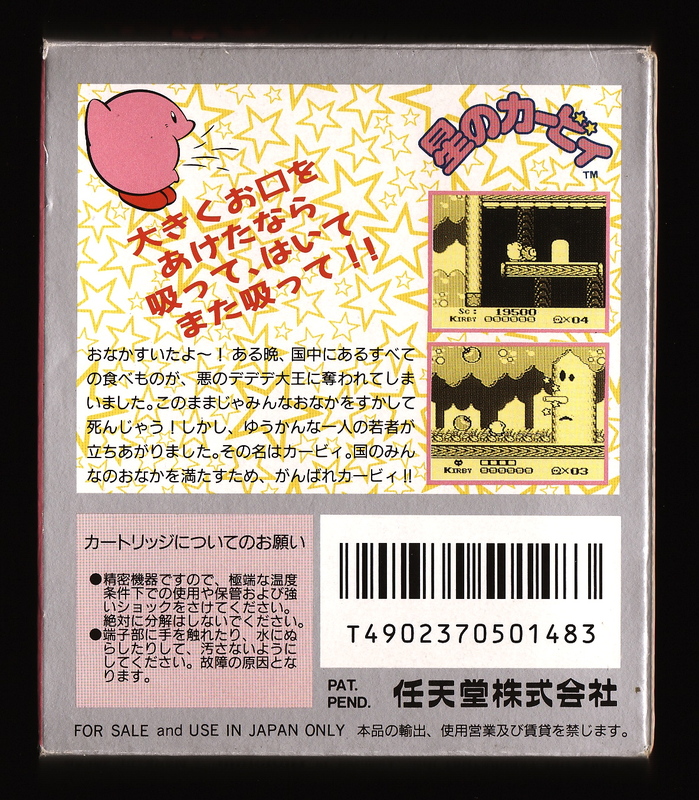 At any rate, I eventually acquired a copy of Hoshi no Kirby--and quickly fell in love with it, too. Which is a good thing, as this particular Kirby adventure doesn't last very long. In fact, its five or so worlds and their respective bosses can be toppled in about 25 minutes if you can keep yourself from dillydallying. Strangely, coming face to face with that truth didn't bother as much as I thought it would, and my only explanation for that is Hoshi no Kirby is so damn cute, and its titular protagonist is such a joy to control, that it's hard not to put aside your usual prejudices and instead focus on having fun when you pop its cartridge into your trusty GameBoy. Does that mean I consider this initial iteration of the Kirby formula--which is what I imagine Super Mario Bros. would be like if it had been made by kids, what with its cartoonish, dream-like focus on manipulating Kirby's gaping maw to inhale baddies and float above the earth--to be portable perfection in black and white? Not hardly. 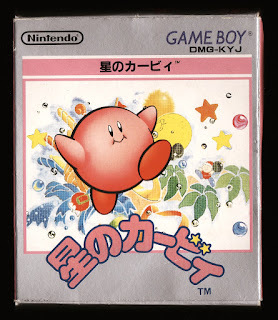 A case in point: although Hoshi no Kirby is a total, grin-inducing hoot to play through, there's no denying its brevity--even when a second, slightly more difficult adventure is offered up on a pixelated platter at the tail end of the first. 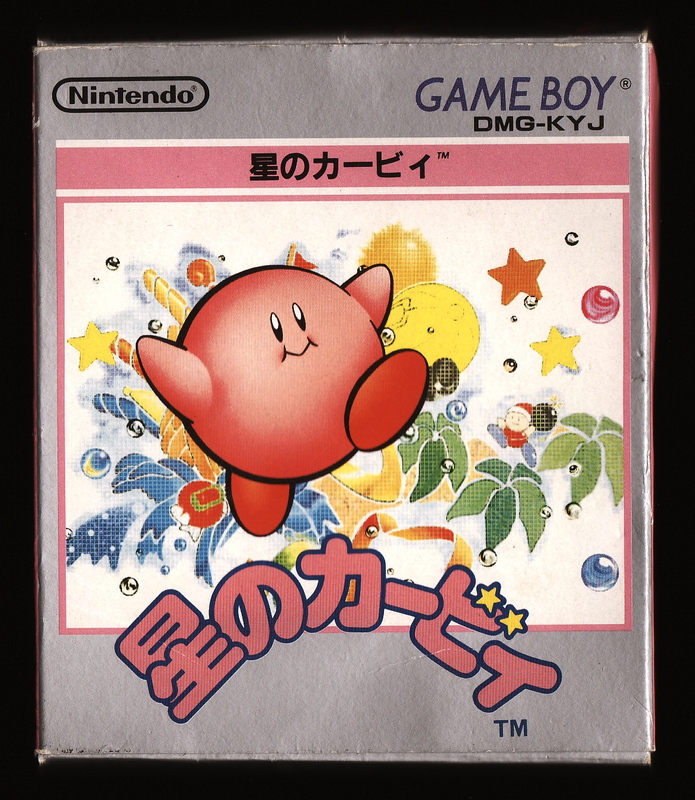 Also, there's no question that this Kirby escapade feels a bit "bare bones" when compared to pretty much every other game that stars this pink puffball. That's not enough for me to give this game whatever my version of a "thumbs down" would be, though, especially considering both physical and digital copies of it can be picked up for less than $10 these days. Back when it was a new release and cost a couple of times that amount? Sure, why not. But here in 2015, the only reason I can come up with that would prompt me to recommend someone not buy this gem of a platformer is if they already own it in some form or fashion.